The profit with Marcus Lemonis is backkkkkkkkkkkkkk. Hello everyone and welcome to this first episode in the second season of the profit. If you are new to the profit and want to know more about the first season you can click here to to view our reviews on it. The episode starts with a few clips from season 1. It also mentions that the stakes will be much higher in this season with even more money from Marcus to be invested. Let’s hope they keep their promise. This week, Marcus Lemonis the CEO of camping world and good Sam enterprises visits Athans Motors. Click here to learn more about Marcus Lemonis if you are not familiar with him. This is a car dealership just 10 miles outside of Chicago in Morton Grove, Illinois. It is a company founded by Pete Athans, a car enthusiast and a former real estate investor. Pete made a lot of money in real estate and decided to open a car dealership which would enable him to turn his passion for cars into a moneymaking business. According to Pete, the car dealership should please people who like to visit to relax and hang out having a cup of coffee while they choose cars. All of these was created in 14 months and cost over 4 million dollars. Pete has spent all of his entire life savings on this business and can’t afford to lose it all. Pete hired his cousin Tony (who has 18 years experience in the car business) to be general manager of the dealership, but continues to micro-manage the business and this is straining their relationship. Tony feels he has no power to make the decisions that will help the business grow and is thinking of leaving the company altogether. The business loses over $1.8 million a year and if things don’t change, Athans Motors will have to close its doors to the public and Pete will lose his entire life savings. Marcus meets Pete and Pete’s immediately wants to know how the place looks to Marcus and offers to give him a tour. Marcus finds out that Pete spent over $600,000, spent on non-necessary things like video games, big-screen TVs, professionally painted walls, luxury customer lounges… Things that don’t really help in selling cars or rather money that would have been spent on buying cars for re-sale. If it had spent that money on used cars he would have bought 40 cars and with a margin of $2000 per car,he would’ve made $80,000 profit on that investment. This is crazy and very irresponsible way to spend money and Marcus agrees. Athans Motors has to sell 60 cars per month to break even with a margin of $2500 per car. This adds up to $1.5 million working capital needed just to have enough cars per months to sell and breakeven. Just 20 cars available for sale in the dealership. Not enough cars to provide a choice for prospective clients. Lack of medium to low end cars for sale. Huge losses in revenue per year. Straining the relationship between cousins Tony and Pete. Pete needs to relinquish control to the right people in this business. $6.9 million of debt owed to himself and his family and friends. $100,000 per month loss just keep the business open. Marcus offers Pete 3.5 million dollars to help clear the debt, bring in new cars for inventory and change Athans Motors into a new entity with a new brand that makes money. In this deal, Marcus and Pete will be 50-50 partners with Marcus taking full control of the running of the company. Marcus Lemonis intends to protect himself from failure by owning all of the inventory his investments will provide and if the need be, he can liquidize the cars and recoup his investment. Also, the name of the company Athans Motors will have to be changed. Pete fires back at Marcus a quick NO. He’s not really happy with the fact that Marcus intends to control 100% of the business affairs and he believes that he still has a lot of input to help the business grow. He stands up and goes for a walk to clear his head. When he comes back and after listening to the deal once again, Pete decides that it’s the best thing he can do for his business and accepts the deal and they shake hands. As always once the deal is accepted Marcus is in full control of the business for a period of time. This is the period of time he needs to make the appropriate changes both physically and financially to the business. I also feel Marcus will like to join this business to his existing car cash business he invested in the 1st season of the profit. Liquidate the high-end cars that don’t sell and use the money to get more inventory of those that are easier to sell. Liquidate everything that doesn’t contribute directly to selling cars like the TV screens the videogames etc. Take advantage of every square inch of floor space to generate revenue for the company by adding shops car products to sell. Change the marketing plan to increase the amount of traffic and clients the company gets. Have a wider array of price points and selections to cater for different customers. Give Tony the general manager more breathing space to enable him perform his duties in the business. Have a grand new opening event. Marcus helps Pete Get rid of the classic cars in the dealership to make space for the new cars they will be selling. Marcus gets the painters to come paint over the murals to give a fresh new clean look to the dealership. He also gets rid of the luxury high end items to recoup around $150,000 for the company. The lounge has been renovated to an auto parts and accessories store and this will enable the company to generate income with that floor space. Meanwhile, Tony finds out that he is being undermined still ,so decides to quit. He informs Pete and walks out. This seems to be the straw that broke the camel’s back and Pete realizes that the fact that he Micro manages and doesn’t relinquish control to the right members of his team is not going to help his business at all. In the next scene, Marcus Lemonis goes ahead and changes the name of the business from Athans Motors to Automatch USA. This infuriates Pete because he believe that he has a good name in the community and that Marcus is being a dictator in his business. Marcus explains to Pete that they need to relaunch the brand, this is going to put new enthusiasm into clients and the business will be resurrected. Pete calms down and agrees. 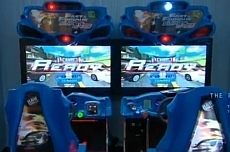 The next scene shows a brand-new dealership. Automatch USA is brand-new, the changes can be seen and the team prepares for the grand opening. On the day of the grand opening a snowstorm comes down in the area and it looks like things are going against Pete. This however doesn’t stop the party and a lot of people show up to the reopening. They all love the place and many people can be seen shopping from the new accessory store proving the concept that floor space can be used to generate income. Even Pete can’t hold off being emotional as he sees a new beginning for his business. The cars start flying off the shelf as the team comes together to sell sell sell. Automatch USA generated over $100,000 in sales on the grand reopening day and things are looking great. After a month in business, a massive improvement can be seen. It even relinquishes control of the business to his directors and team morale is at an all-time high. Marcus Lemonis also brings in a new general manager John Gavin, this 30 year veteran in the car industry. John seems to be keen in making a lot of money for Automatch USA. The total inventory has gone from 20 cars to to over 150. Automatch USA is averaging about 90 sales per month and to be just a matter of time till when Automatch USA will start generating a huge amount of profit. The next scene shows clips of future episodes and it looks like this season two is going to be full of drama and excitement. Don’t forget to like us on Facebook, re-tweet us and most importantly, share your opinion on this episode with us in the comments below. Enjoyed the episode. Felt bad that his cousin hung in there for 4 years and right when things were about to turn around he could not take it anymore and left. We all have our breaking point. He seemed like a good guy and wish he was there now to enjoy the better times. Also I wonder what Pete feels like when he watches the episode on TV and see the amazing transformation of the showroom! I would feel so awkward sitting there alone playing videos of watching movies/TV all by myself. Can you say awkward! Marcus is an amazing guy. Honest, fair, and straight talking. Great save! Pete borrowed a ton of money, if only he had used more of it to buy cars. Checked out their website, looks like its still a high-end dealer, but they now have plenty of cars in all price ranges. Great show! Opened my eyes to several corrections I need to make at my own dealership. Wish I could leave a comment somewhere other than an episode. I understand there is “drama” and the entertainment value of the show which for some might drown out the sound business sense that is actually at the heart of the show. Things I’ve learned/re-learned watching the show. Numbers…it’s all about the numbers. If you are in business and you don’t know your numbers, that’s a problem. I admit to being someone who could go “its about…” I knew better than to be like that so I dug into my own financials. Just so I had more than just a clue. I realized I am in a bad business deal. Currently I take a pay cut of 2.5% to receive payment within 9 days of completing a job from our biggest contract. In total its about 30 days from starting the job to receiving payment. So my material bill is always over 30 days, the first crew on the job waits about 21 days to be paid, the second crew 14 days and the final crew, 9 days. My other option with this contract is to wait 30 days for the full amount but I would have an additional $28,000.00 in annual income. In discussing it with one of the crew leaders,he said he could do the work for less money if he wasn’t waiting so long to be paid. The supplier also is willing to provide a 10% discount on material if it is paid on time or a 15% discount if paid the same day. So the best case scenario would be to pay the supplier and crews with little or no delay and wait almost two months from starting the job for payment. This is going to take a serious amount of “cash on hand”. I am currently researching interest rates on various lending products to see if I can increase my profit margin and how long it would take to turn that profit into my own money and be free of lending. Also since I am not as in debt as I thought I was the business debt will be paid off at the end of November. It’s an Ink from Chase credit card. 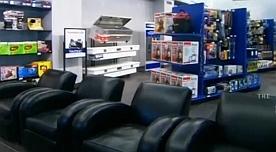 Marcus struck a lucrative deal with Chase bank to promote the Ink Credit Card and uses it as product prop within the show to purchase various items in the purchasing of remodeling materials. Looking forward to finding the link of the video so I can play this episode for everyone at my job. I am going to quit if they don’t learn from it. Micromanaging is for people that aren’t fit to hold their position. Update: Drove by the Morton Grove, IL dealership (formerly Athans Motors) and it is closed. Name is off the side, inventory out of the lot, etc. Gone. Would love to see an update on what went wrong with this location from Marcus. I see from the website that there are three locations still open (in the south). Does anybody know what happened recently to the Athans/Auotmatch dealership? it has closed down according to the website. It seemed like all was going well for the first year or so. Why did it close down? Same comment here. Shutdown and moved out. No mention of this on Automatch website. Guessing something went south with Athan given that it seemed like the location was keeping pretty busy right up to the point it was gone…..
Another update: They had an auction back in April to liquidate remaining assets at this location. [ picked up a pile of stuff, ;) ] Ran into a guy in the lobby that looked like one of the contestants of the apprentice who was there supervising. Only story I could get was that didn’t work out and they were going to repurpose the space as some sort of shared warehouse / office for some of the other businesses. It’s simple Pete will always be Pete. Worked for Jacksonville AutoMatch USA. Was fun but mismanaged. Marcus Sold business to Echopark who closed all 3 Flordia locations and cancelled the Georgia one within a year.